The Crumpet: 31DC - Day 13 - Animal ! I'm quite torn about today's post. 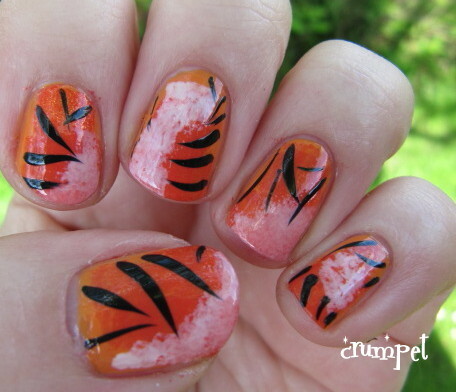 In my head, when Crumpet does an animal mani, I know what I see, and this isn't it. 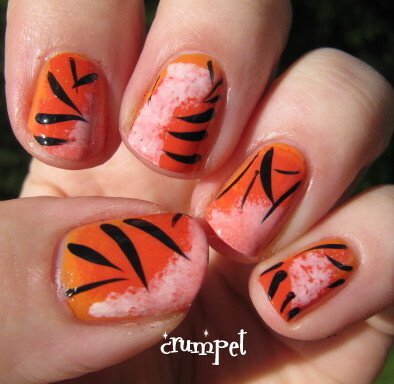 On the other hand, before I got *suckered* into this challenge, I had been planning to do Animal Week, and I have 5 of those perfect Crumpety animal manis sat waiting to go - and I was determined I wasn't using one of them for today. 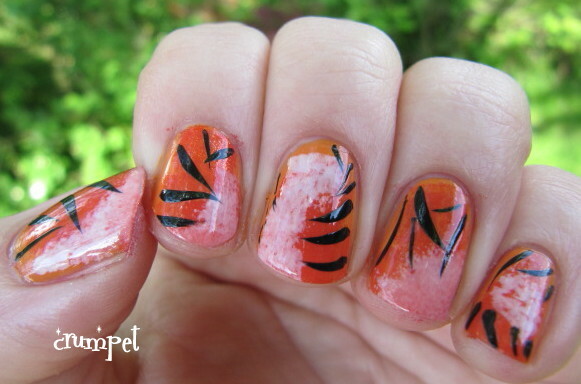 So what you've got instead is a freehand tiger pattern I did back on the only day the sun shone this summer, which I was quite proud of til Missy did the tiger mani to rule all tiger manis (HERE). 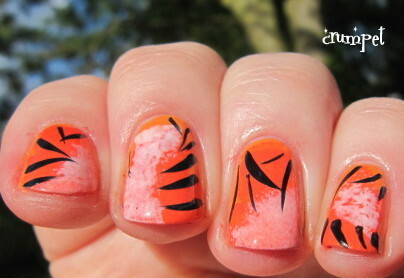 I felt that too many tiger manis ignored the white element of a tiger's coat, and that's what I really wanted to play up in this one. I also wanted to show some texture, so 3 oranges went into this, not that I think you can tell! 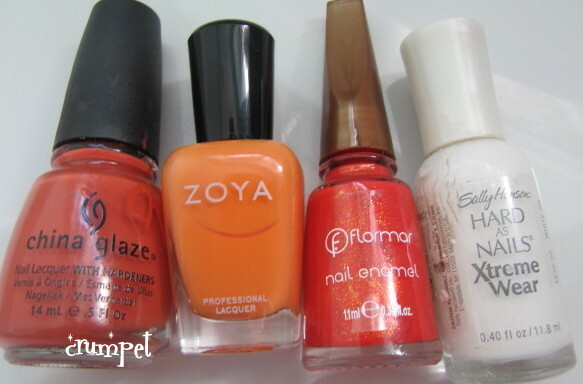 So this has Zoya Arizona as the lightest orange, CG Life Preserver as the darkest and then a fabulous Flormar (JG453 - is that its name ?) which bears more than a passing resemblance to CG Riveting. This is a bascically a sponge mani - random orange sponging - then specific white sponging to try and create those stripe free areas. 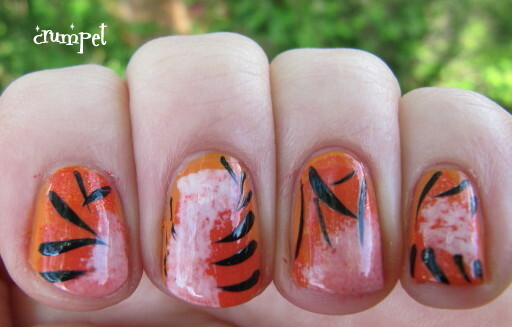 I then freehanded the stripes with - yup, you've guessed it! - my CG Ink pot. So there goes. Laurie's post is fabulous today btw - awesome, epic and all that jazz.